Are you making choices between investing in a TFSA or an RRSP? Which should come first? The correct answer is of course, it depends. We decided to do some numbers to come closer to the precise answer and what we found was interesting. The TFSA seems to be the winner over time, even in cases where income splitting is available in retirement. But there is a wild card: what tax bracket will you be in — at the time of RRSP contribution and at retirement? Remember that the TFSA must be funded with after-tax dollars; the RRSP creates a tax refund on contribution and so is invested on a pre-tax basis. In both plans, earnings are tax sheltered while in the plan. On withdrawal all amounts are tax free from the TFSA; all amounts are taxed if they come from the RRSP. Consider the following example with a single $5,000 deposit when the tax bracket is 15%, earning 3% annually and brackets gradually increasing until the money is withdrawn 40 years later. We compare investments in an RRSP, a non-registered account and a TFSA. RRSPs come out ahead of the TFSA, only when the current MTR is higher at the time of contribution than the retirement MTR. Both tax preferred investments beat the non-registered account. Note that in the first chart, the RRSP contribution generates a $1,250 tax refund. This refund grows on a tax sheltered basis to $16,310 vs the $12,232 for the TFSA (which has to be funded with after-tax dollars). But, along with that RRSP deduction up front, comes an income tax liability at the end of the line of $5,871. The net gain is $10,438.52. The investor matches the TFSA returns when the RRSP benefits are split with a spouse. It’s Your Money. Your Life. Take the time to do the numbers for a better handle on your investment options this month. Best case scenario: do both, contribute to your RRSP to get the tax savings and any refundable tax credits and social benefits available to your family; and then contribute to your TFSA for each adult in the family who is a resident of Canada. 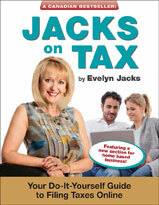 Author Evelyn JacksPosted on February 27, 2014 February 26, 2014 Categories Income TaxLeave a comment on RRSP or TFSA? I’d like to invite you to join me in supporting The Movement Centre of Manitoba at Winn$tock 2014, Winnipeg’s annual Battle of the Bands featuring musical members of the local financial services community. Winn$tock 2014 is being held on Friday March 21 at Cowboys at Canad Inns Windsor Park, and the team at Knowledge Bureau is pleased to be involved in this worthwhile and fun event once again this year. Every donation of $200 or greater will qualify you for a draw for a complimentary registration to the 2014 Distinguished Advisor Conference at beautiful Horseshoe Bay, Texas this November 9 to 12 — a $2,500 value! In addition, Knowledge Bureau has made the commitment to match the first $2,500 of donations received. You can make a tax-deductible donation through our Winn$tock webpage. Tickets to Winn$tock 2014 are available for purchase online at www.winnstock.ca or by contacting tickets@winnstock.ca. We look forward to seeing you on March 21 at Winn$tock! According to the February 11, 2014 federal budget, approximately 7,600 Canadian Armed Forces personnel leave the Canadian Armed Forces every year. This includes approximately 1,000 personnel released for medical reasons beyond their control. Finding meaningful employment is a key factor in making a successful transition to civilian life. But it is also clear that some tax-efficient investment planning could help leverage some of the tax-free supports available to veterans. RDSP and TFSA investments, for example, could be helpful. Astute tax and financial pros may wish to zero in on some of the opportunities to help these distinguished Canadians. A tax-free lump-sum disability award of up to $301,275. A tax-free disability pension of up to $2,617 per month for a single veteran without dependent children. A benefit of up to $1,725 per month to compensate permanently and severely impaired veterans for the lack of career opportunities. A benefit of up to $1,057 per month for permanently and severely impaired veterans who cannot find suitable, gainful employment. Post-release income supplements for veterans undergoing a rehabilitation process or who are totally and permanently incapacitated with a minimum salary currently set at $42,426. A tax-free payment of up to $1,411 per month for a single disabled veteran without dependent children who has completed a rehabilitation process, who is able to work, but has not been able to find a job or has a low-paying job. Vocational support and career counseling programs providing up to $75,800 in vocational rehabilitation and training. Support for disabled and aging veterans residing in long-term care facilities. Financial support to pay for funeral and burial services, which has been expanded in the most recent budget. In addition, this budget announced that the Government proposes to enhance employment opportunities in the federal public service for medically released Canadian Armed Forces personnel by creating a statutory hiring priority in the Public Service Employment Act and by extending the duration of priority entitlements from two to five years for all medically released Canadian Armed Forces personnel. As well, it is proposed that the Public Service Employment Act give preference to eligible veterans in external public service job competitions and to allow Canadian Armed Forces personnel with at least three years of military service to participate in internal public service job competitions. It’s Your Money. Your Life. Helping those who help others is just the right thing to do. Seeking opportunities to provide professional tax and wealth management advice to veterans is a great way to give back. It’s February, and that means that the Groundhog and Cupid vie for our attention. They seem to personify the challenge Canadians have with their fiscal balancing act: the ongoing lure to demonstrate love through wallets, with the fiscal obligations to spend and plan for our futures responsibility. The spirits of the two, Groundhog and Cupid, make a great case for tax-efficient financial planning this month. February 2: What did the Groundhog Bring? Groundhog Day, was apparently inspired by a Scottish saving to celebrate a Christian holiday: “If Candlemas Day is bright and clear, there’ll be two winters in the year.” This year the predictions for a continuing winter have been mixed from our furry friends – In Ontario, Wiarton Willie spotted his shadow; in Nova Scotia Shubenacadie Sam did not, and in Pennsylvania, Punxsutawney Phil agreed with Wiarton Willie, that Old Man Winter will hang around for another six weeks at least. Manitoba’s Groundhogs, Winnipeg Willow and Brandon Bob, meanwhile, saw no shadows and agreed, as a great Canadian couple, that spring will come sooner than later; good news indeed! If you find it as difficult to predict your family’s economic future, take a stand: err on the side of tax savings. Sock that money away in an RRSP to increase your tax refund. If you want to be fully prepared for Black Swans that tend to arrive and plague us from time to time – things like lacklustre economic growth, currency fluctuations, increased taxes, inflationary costs to future plans and miserable or dangerous weather conditions – saving on taxes is smart. How much can you contribute to your RRSP? Dig out your Notice of Assessment or Reassessment for your personal RRSP Contribution Room. The maximum contribution room you could have built in 2013 is 18% of earned income up to $23,820, but your room may be higher if you missed contributing in the past. Do so by March 3, 2014 to take a deduction on your 2013 return. But don’t over-contribute. Excess contributions – that is, amounts over your RRSP Room plus $2000 – are subject to a 1% per month penalty tax, which must be paid by March 31. Form T1-OVP is a bit of a nightmare, so see a tax pro for help. February 14: Preparing for Cupid. Take pause before you load up Cupid’s arrow and your credit cards. The only thing more loving than a chocolate-covered heart is the gift of a TFSA – one for every adult in the family. You’ll seal your family’s future from the dark side of tax and economic change, and that’s appropriate, in a month when the good vibes of Cupid provide a contrast to the often uncertain predictions of the Groundhog. Maximum TFSA Contribution room for adult residents of Canada is $5500 for 2014. Check out the unused TFSA contribution room while you’re at it and save as much as possible. What we have to look forward to next week, is the February 11 Federal Budget, presented within a slump in Canadian economic growth. At a time when the only certainty is change, the most loving thing you can do for your family, is to batten down the hatches with your tax-efficient savings. It’s Your Money. Your Life. See your tax and wealth advisor this month to start your tax filings, prepare you family’s net worth statements and set up succession and wealth management plans. Share the love for financial prosperity and you’ll be amazed: predicting the future will likely be much easier for you than for the poor groundhog.